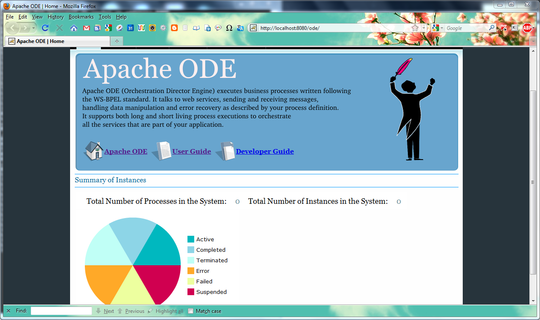 Apache ODE stands for Orchestration Director Engine which is an open source project designed to execute business processes written using WS-BPEL. If you don't understand what BPEL is WS-BPEL (Business Process Execution Language) is an XML-based language which is defined to write standard business processes. There are three main ways to deploy ODE in our computer and run BPEL process. In this post i am going to describe about how to deploy the ODE war distribution as a simple service in Axis 2 and, run ODE in Apache Tomcat Server. First we need to download Apache ODE 1.3.5 war distribution from the ODE website. If you still haven't downloaded ODE visit here to get ODE now. Download the apache-ode-war-1.3.5.zip archive into the local hard drive and extract it there by giving an identifiable name. 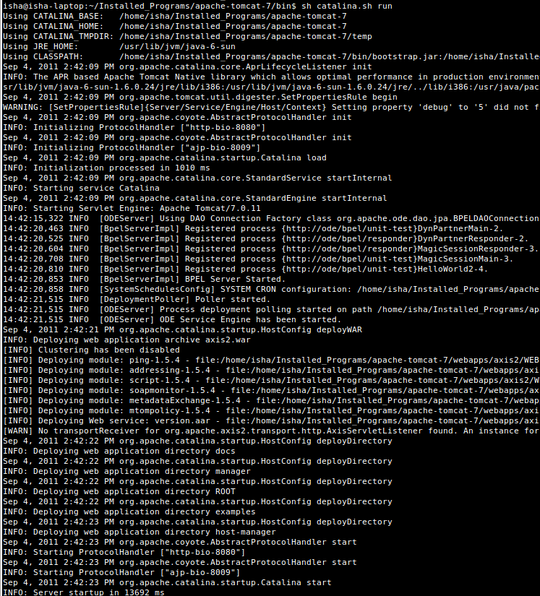 I have renamed it into 'ode-1.3.5' directory in this case. When you open the 'ode-1.3.5' directory ODE war archive can be seen inside the directory as 'ode.war'. Now we have to copy this and deploy it in Tomcat server in order to start Apache ODE in Tomcat. To do this we need to have Apache Tomcat downloaded and installed in our computer. Download Tomcat 7 from here if you still haven't done it.Download and extract tomcat and i have renamed it as apache-tomcat-7. 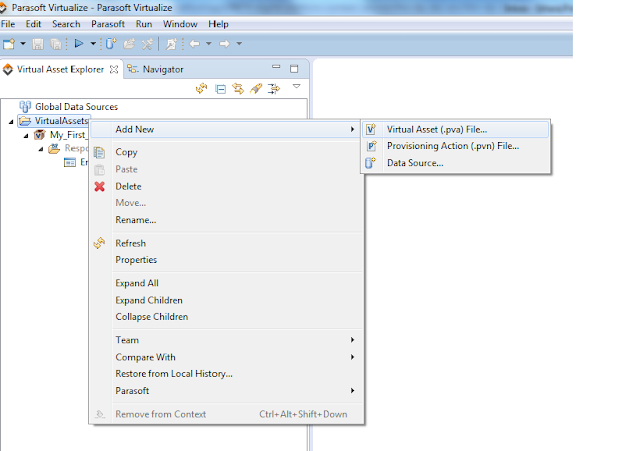 This will open the .bashrc script as a text document and enter the following lines into the end of file. You can replace the PATH_TO_TOMCAT_DIRECTORY section with the filepath where the Tomcat directory is located at. Export the path to CATALINA_HOME as well in the .bashrc file since we will need it too at the future. Now tomcat is set and ready to go. To start Apache ODE with tomcat copy the ode.war archive into the apache-tomcat-7/webapps directory. Then go to the apache-tomcat-7/bin from the console and start tomcat by using catalina.sh script. This will start tomcat server and if you visit the webapps directory back you will see that tomcat has extracted ode.war distribution into a new 'ode' directory. Hence Apache ODE is successfully deployed. Goto http://localhost:8080/ode/ in your browser and Apache ODE home page will be visible as shown in Figure 2. Download ODE and Tomcat as given in above instructions.Copy the ode.war archive into the apache-tomcat-7/webapps directory. Tomcat server is started with catalina.bat in Windows. To do this go to the apache-tomcat-7/bin from the command prompt and enter the following command. When you start tomcat for the first time it will show up the following error if file path to the JRE_Home is not saved. Once this is set go back and start the tomcat server now. When the server is started, ODE will be deployed in the server. Go to http://localhost:8080/ode/ in browser and visit the ODE home page. do you know some example link for a assincronous process?